On seeing the sand casting technique for the first time, during her studies in the USA, Amanda Brisbane was instantly drawn to the textural finishes that the process generates – the subtle interplay between the fire-polished smoothness of the inner surface and the contrasting, coarser texture of the cast underbelly. 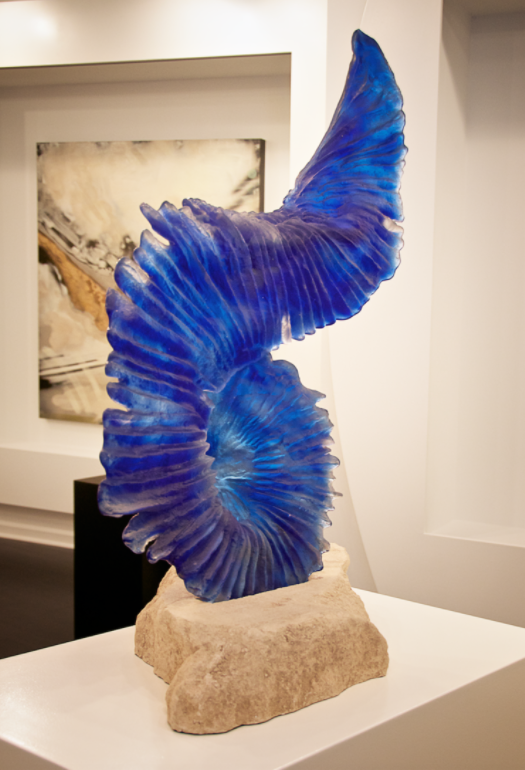 It is a procedure that she has refined over the years; producing one-off glass sculptures that take on an organic, three-dimensional form all of their own. 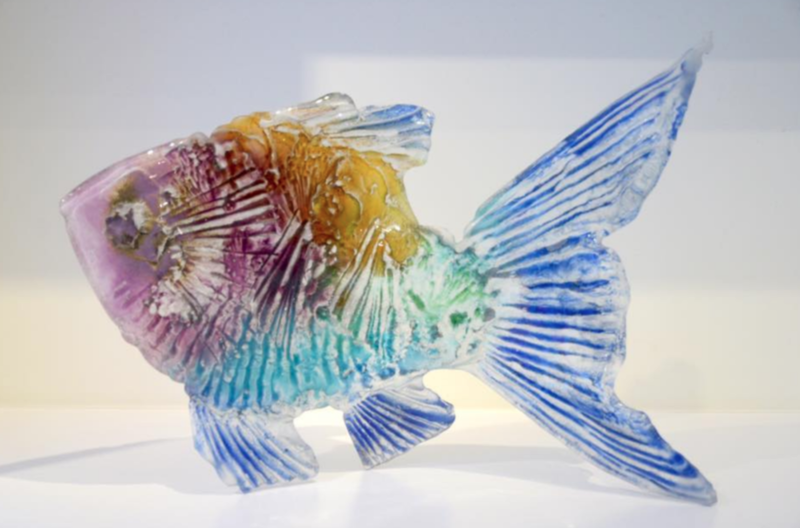 Currently producing some of the UK’s most visually exciting, contemporary glass sculptures, Amanda’s greatest strength is her ability to embrace each new challenge with a vigour and enthusiasm that is caught in the spirit of her extraordinary glass pieces.